Even though tabletop gaming may not be what you first think of when you imagine the immersive potential of virtual reality, it fits the medium better than you’d initially think. Playing games of Dungeons & Dragons in VR feels natural and by eschewing the need for physical table space, actually being present in the same room together, or the pain of cleanup and setup, everything just flows much more easily. It all contributes to VR being a powerful way of enjoying tabletop pastimes without an actual tabletop. 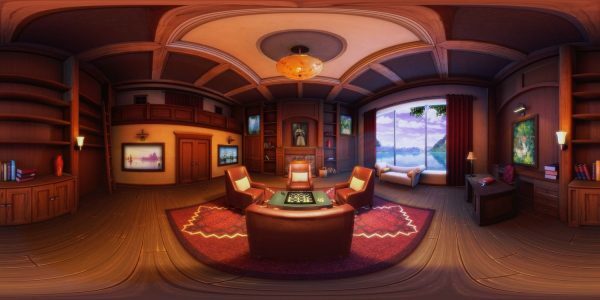 Tapping into this potential is a new VR development studio dubbed Experiment 7. Today Gamesindustry.biz revealed the new studio, which is headed up by EEDAR co-founder Geoffrey Zatkin (serving as Creative Director) and former Zynga New York GM Demetri Detsaridis (serving as GM). Coray Seifert (serving as Director of Production) from Impellar Studios also joins the team. In fact, you can play a single player preview version of Magic Table Chess for free right now on both Gear VR and Oculus Rift. Multiplayer, avatars, and motion controllers are planned additions for a later time. The advent of VR as a social platform is a major theme for the new studio, but it’s not clear how they plan to differentiate themselves from existing options. You can already play a full game of D&D inside AltspaceVR with officially licensed materials. But even more specifically, Tabletop Simulator is an existing game that includes support for non-VR and the HTC Vive (as well as Rift with Touch unofficially) on Steam with essentially any tabletop game you could imagine. It even has multiplayer and motion controllers, as well as user-generated content available. You can download and play all of that right now. It remains to be seen what exactly Experiment 7 and the Magic Table platform intend to do to set themselves apart, other than offer a mobile VR experience, so we will continue following the studio and its creations to see what happens next. Are you a fan of tabletop gaming in VR? Let us know what you think in the comments below!